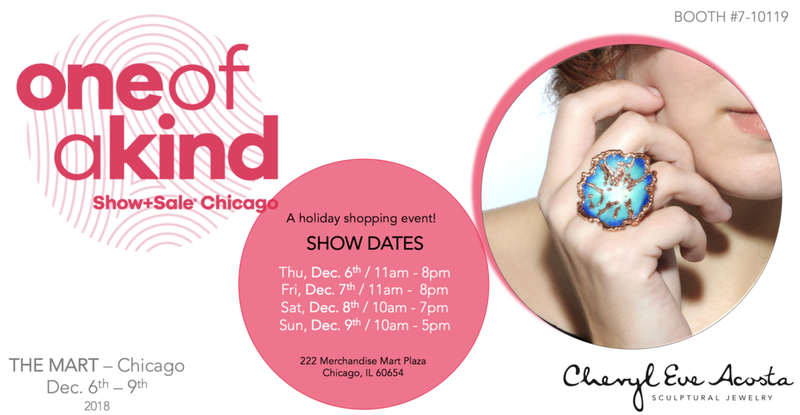 Please join me Dec. 6-9th at the One Of a Kind Show in Chicago’s Merchandise Mart. I will have my jewelry for sale at Booth #10119 along with 600 talented artists from across North America and thousands of original handmade gift options. Shop directly from the artists and enjoy a truly one-of-a-kind experience.